The Shining Light Community Development Organization (SLCDO) is a locally registered, not-for-profit, social welfare organization committed to equipping families and communities in Northern Pakistan through education, training, and development. To accomplish this vision, we work with communities and in partnership with others to assess local needs and offer support to achieve the objectives listed below. 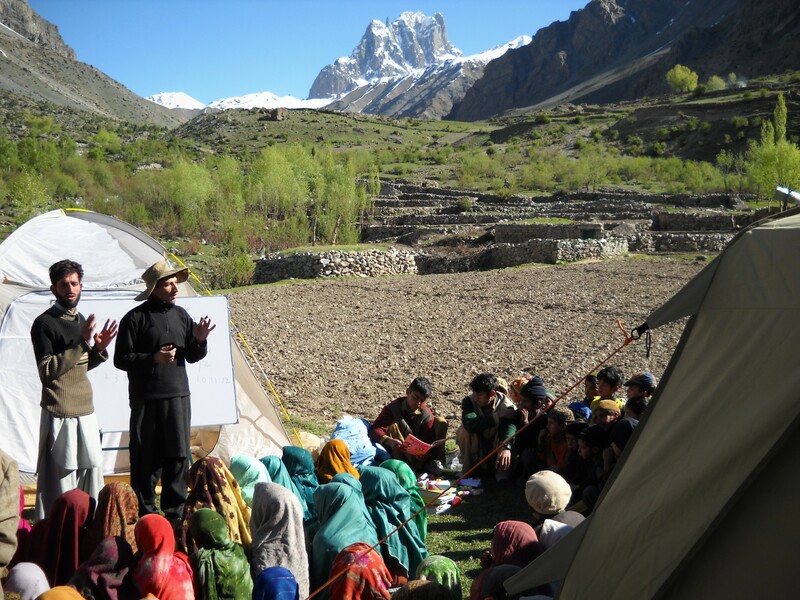 Shining Light is empowering communities in Northern Pakistan through education. 1. Develop and provide high quality, affordable education for children and adults in communities throughout Northern Pakistan. 2. Develop innovative technical and work skills training opportunities to help reduce poverty and promote employment. 3. Provide help for the helpless and hope for the hopeless through mental, social, and spiritual development. 4. Promote computer literacy and competency for students of all ages through computer training and knowledge centers. 5. Raise self-confidence levels among children through the provision of extra-curricular activities including sports, art, and music. 6. Increase community awareness of health, social, and environmental issues. The Shining Light Education Scholarship Program provides the funds required for admission and monthly tuition fees, plus uniform and book expenses, for over 145 children who wouldn't otherwise be able to attend school. Many of these children, the first in their families to learn to read and write, do not start school until a later age and are behind in their studies. These children receive subsidized tutoring support through the Shining Light Children’s Learning Center. The Shining Light Academy is a private, not-for-profit, English primary school that provides high quality, affordable education to over 500 children--in Play Group/Preschool through Class 9--from Gilgit and the surrounding areas. Where public schools in rural Pakistan are challenged by limited supplies and teacher training and focus largely on theory and memorization, the Shining Light Academy offers a safe and supportive place where children are encouraged to learn, explore, and grow through high quality teaching and resources. The Shining Light Academy is committed to making quality education affordable and available to all children, including those of minority ethnic groups that in the past have not had equal access to education. Women, many from low-income families in the area, learn how to manufacture, market, and sell handicrafts. The Center’s programs are designed to offer women the opportunity to help raise their families out of the cycle of poverty that is so common in the mountain and valley villages of this region. Many of the women in our program are the first women in their families to be formally trained, educated, or employed--offering them a new and empowering opportunity to contribute to their community. Driven by strong partnerships with village leaders, the Remote Village Development Program (RVDP) was established in 2009 to address the desperate educational and economic needs of the region’s most remote, vulnerable and marginalized communities. To date, over 500 families in some of the region’s most remote communities are directly benefiting from the Remote Village Development Program. Fill out the form below and we'll contact you as quickly as possible! Or you can contact us via phone or email. Copyright © 2016 Shining Light.